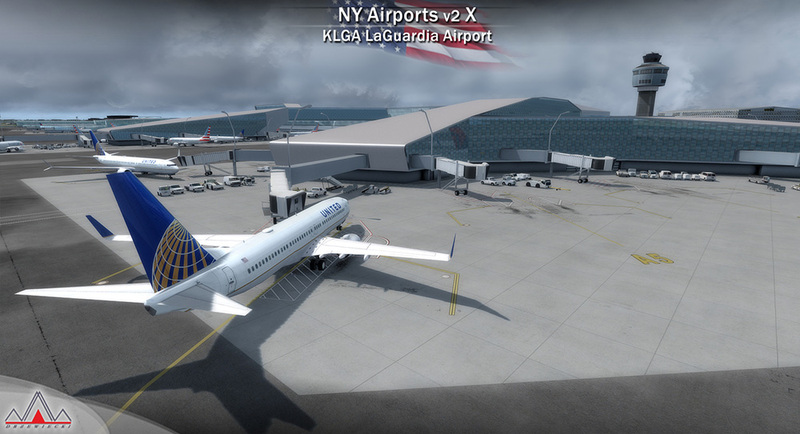 Not in conjunction with other discounts. 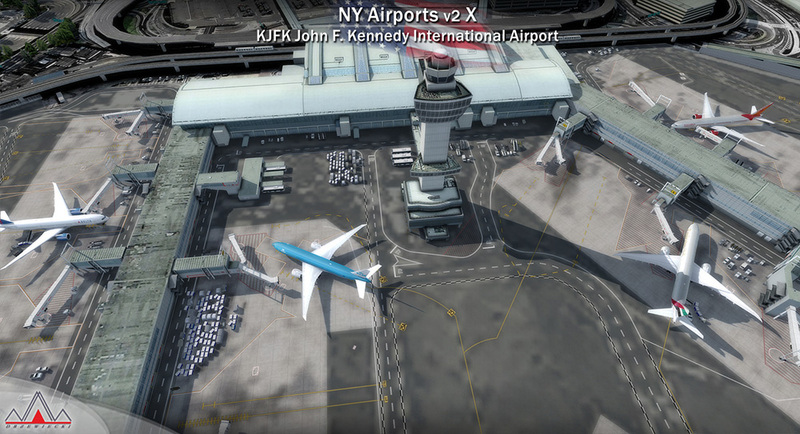 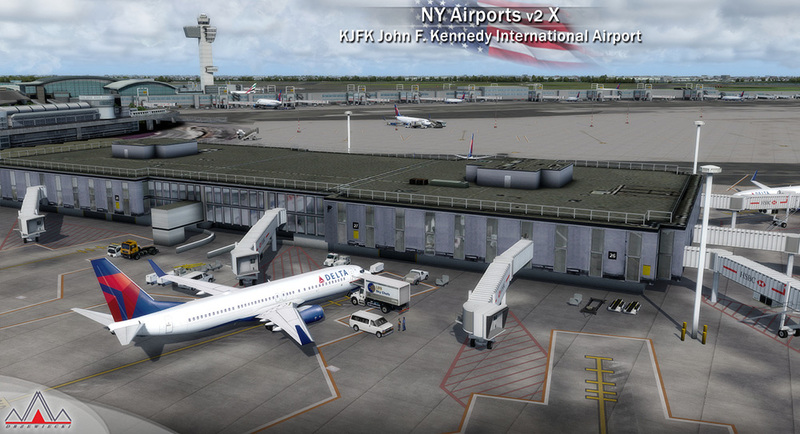 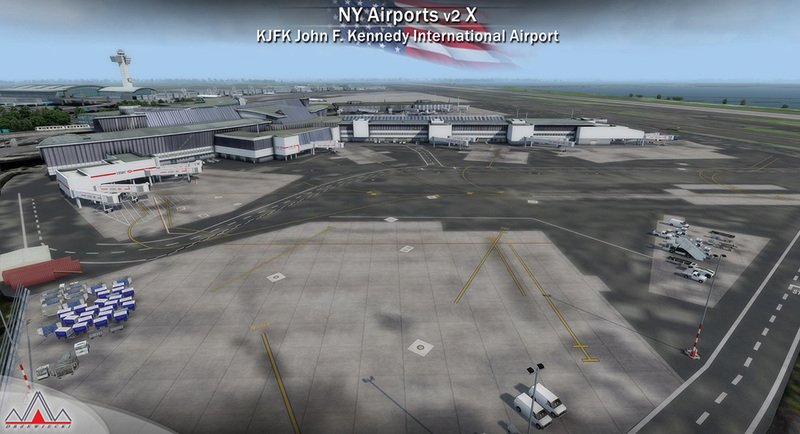 Product information "New York Airports V2 X (KJFK, KLGA, KTEB)"
New York Airports V2 X is a package of 3+3 airports located in New York metropolitan area (Tri-State Area) in United States of America. 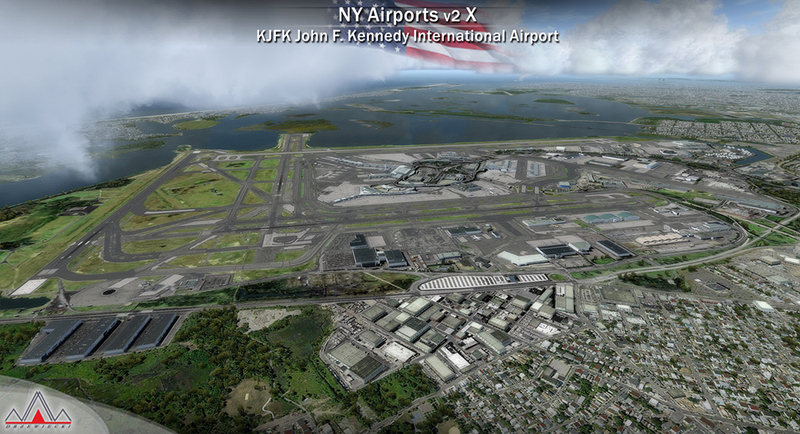 John F. Kennedy International Airport (IATA: JFK, ICAO: KJFK, FAA LID: JFK) in the borough of Queens in New York City is owned by the City of New York and operated by the Port Authority of New York and New Jersey under a long-term operating lease. 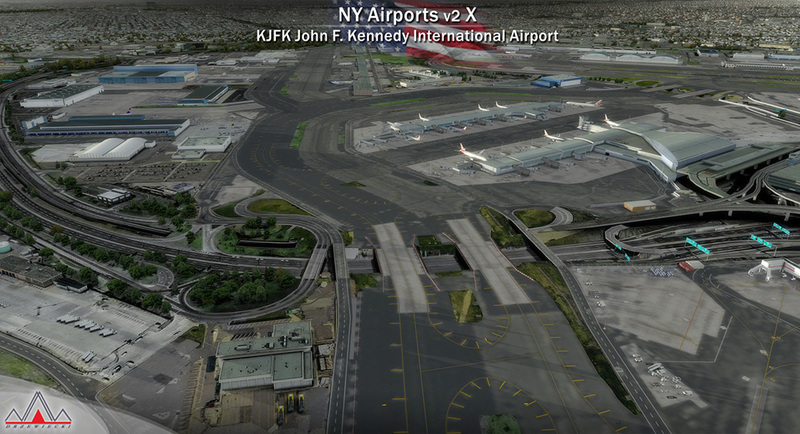 It is about 12 miles (19 km) southeast of Lower Manhattan. 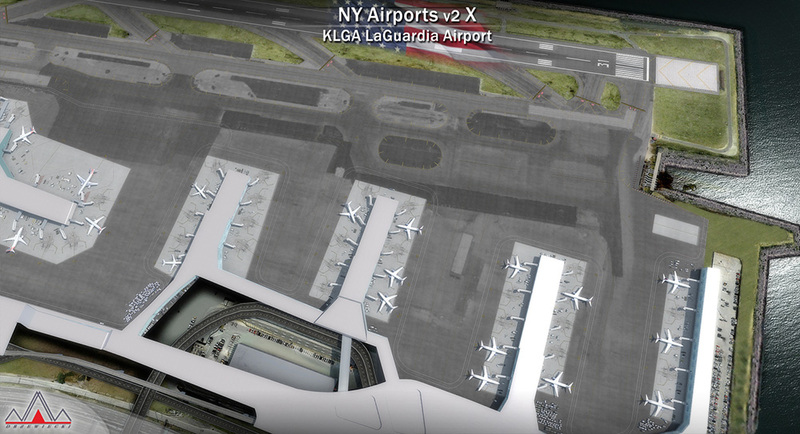 It is the busiest international air passenger gateway in the United States, handling more international traffic than any other airport in North America. 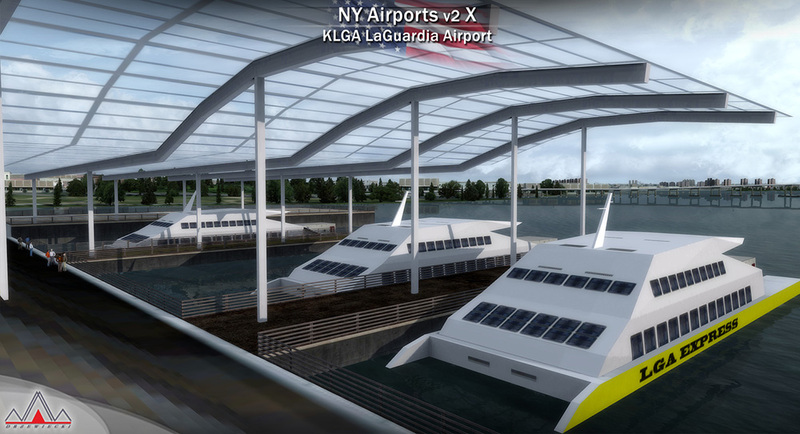 It is also the third-leading freight gateway to the country by value of shipments. 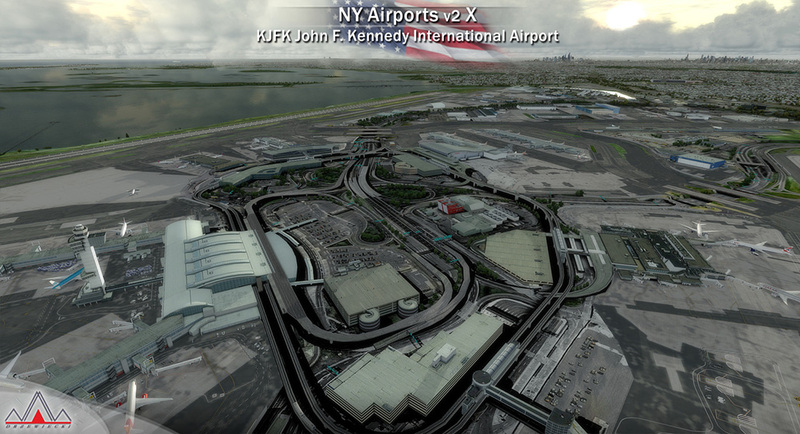 In 2013, the airport handled 50,423,765 passengers, making it the 17th busiest airport in the world and sixth busiest in the United States by passenger traffic. 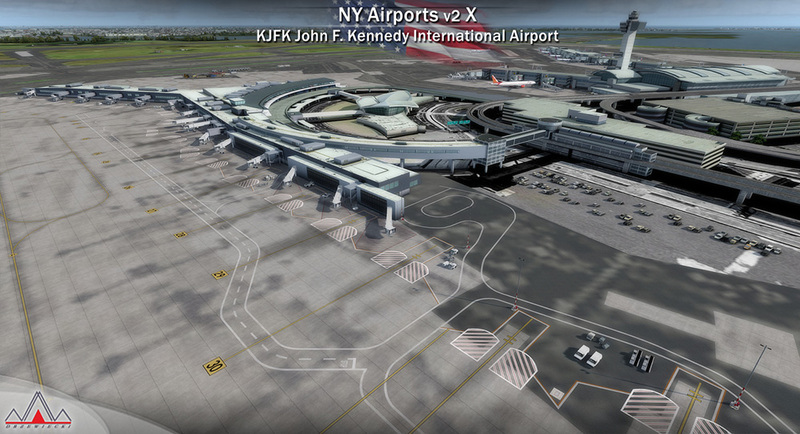 Together, JFK International, LaGuardia, and Newark Liberty airports are the largest airport system in the world by total flight operations. 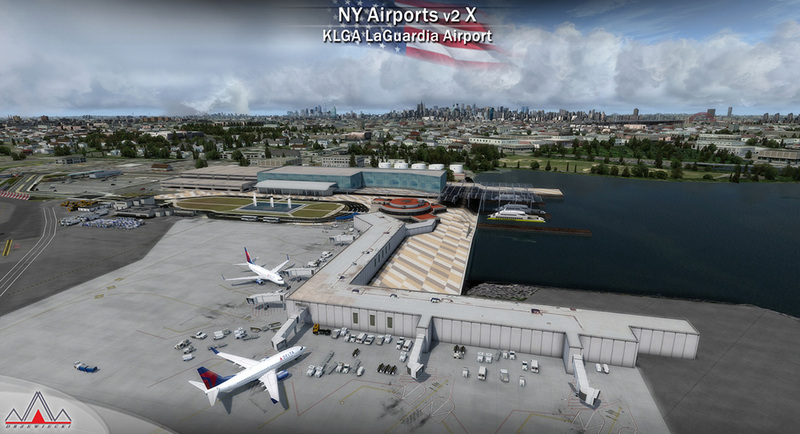 LaGuardia Airport (IATA: LGA, ICAO: KLGA, FAA LID: LGA) is an airport in the northern part of the New York City borough of Queens. 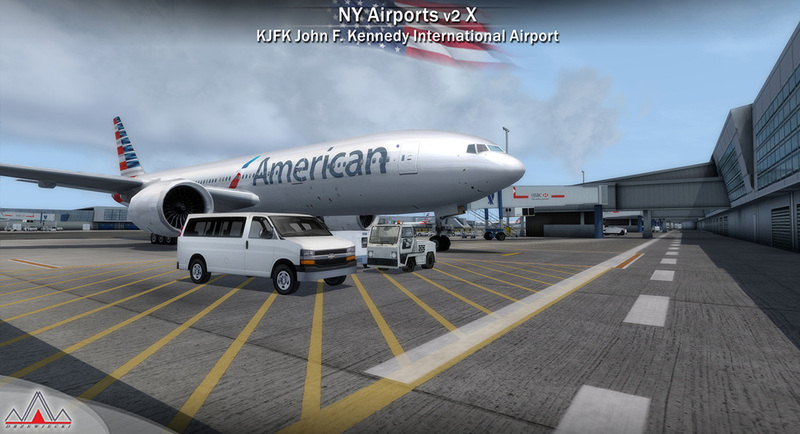 The airport is a hub for Delta Air Lines and a focus city for American Airlines and regional affiliate American Eagle. 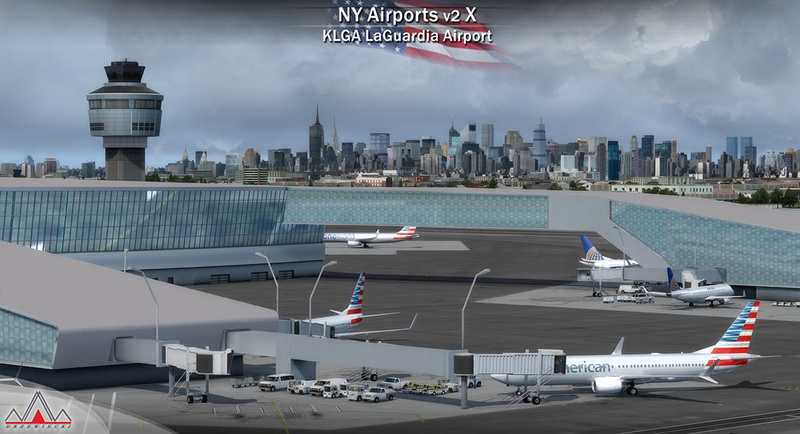 LaGuardia is the busiest airport in the United States without any non-stop service to Europe. 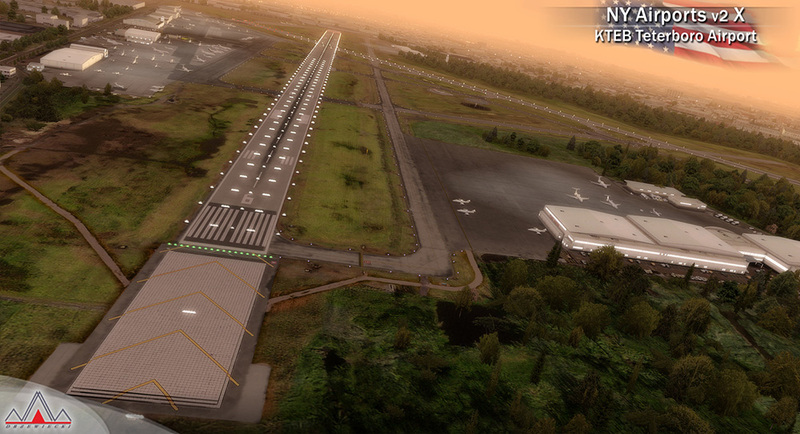 A perimeter rule prohibits nonstop flights to or from points beyond 1,500 statute miles (2,400 km). 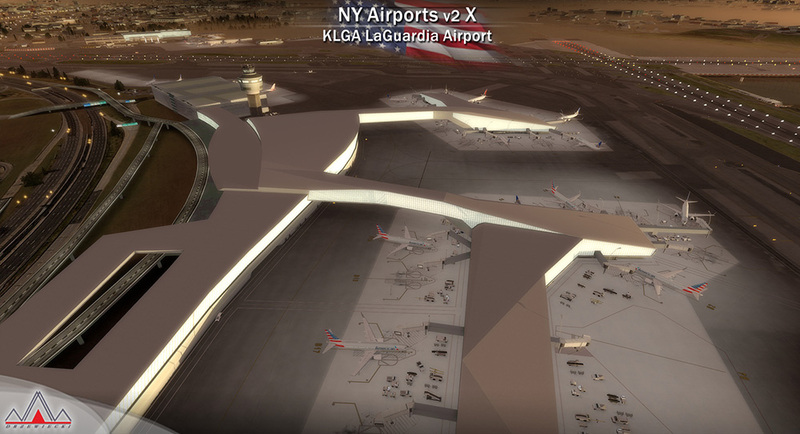 LaGuardia Airport is represented in our product as it is expected to look after a major construction work is completed. 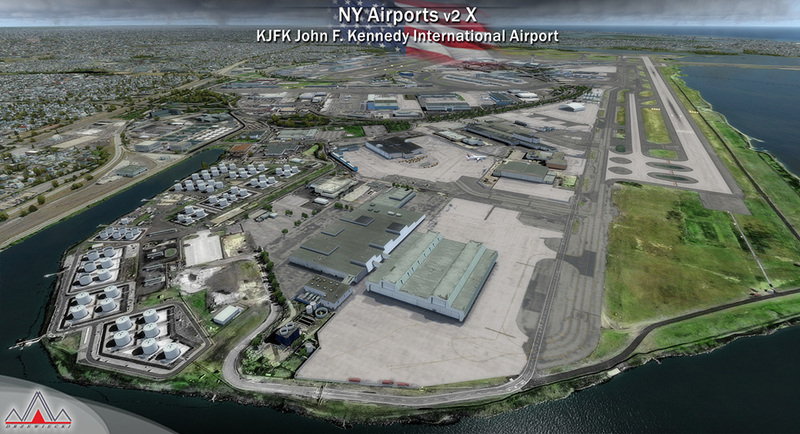 The model is based on visualization provided by The Port Authority of NY & NJ on July 12, 2016. 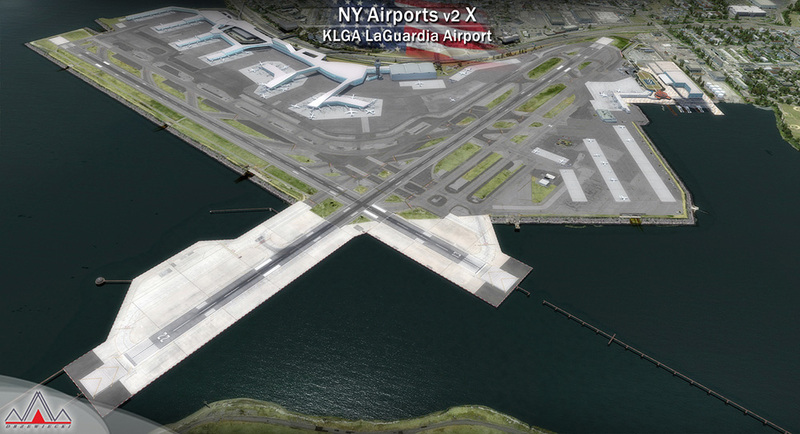 A custom-made chart is included for this airport. 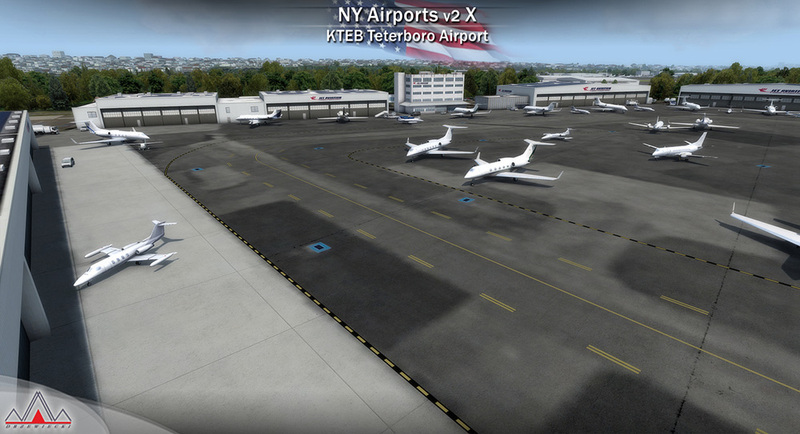 Teterboro Airport (IATA: TEB, ICAO: KTEB, FAA LID: TEB) is a general aviation relief airport in the boroughs of Teterboro, Moonachie, and Hasbrouck Heights in Bergen County, New Jersey. 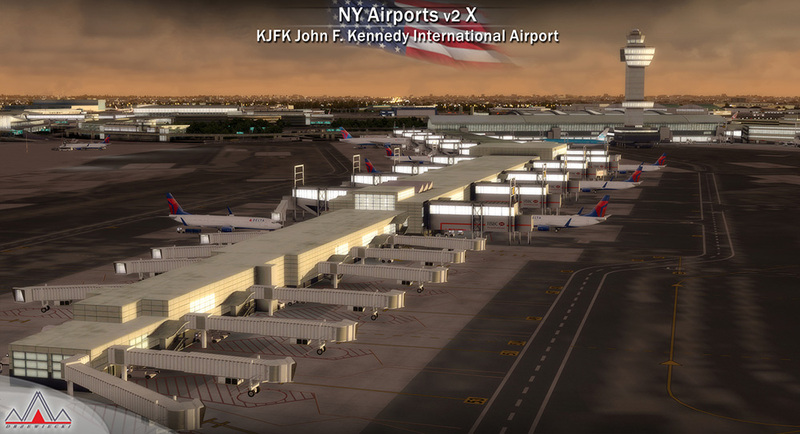 The airport has a weight limit of 100,000 pounds (45,000 kg) on aircraft meant to make it nonviable as a commercial airport. 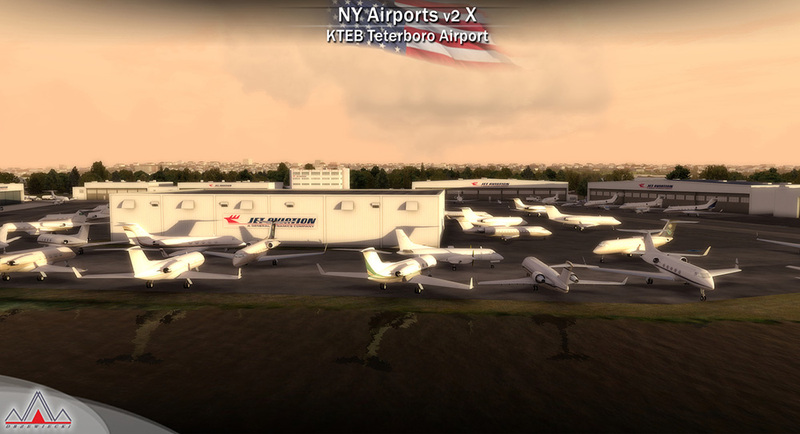 Teterboro Airport is the oldest operating airport in the New York City area. 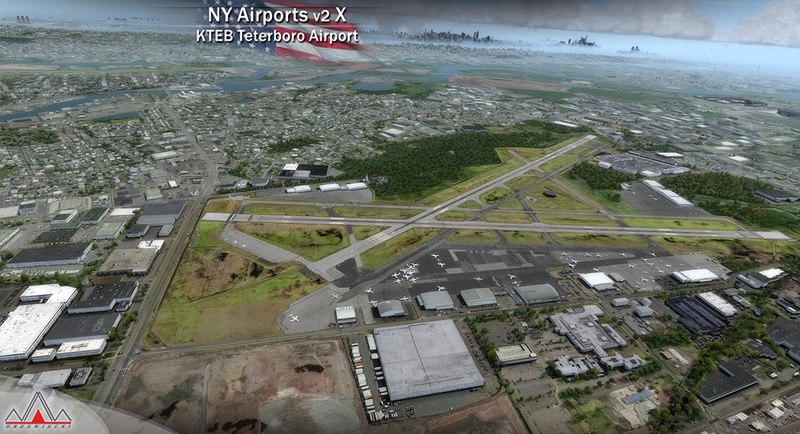 Walter C. Teter (1863–1929) acquired the property in 1917. 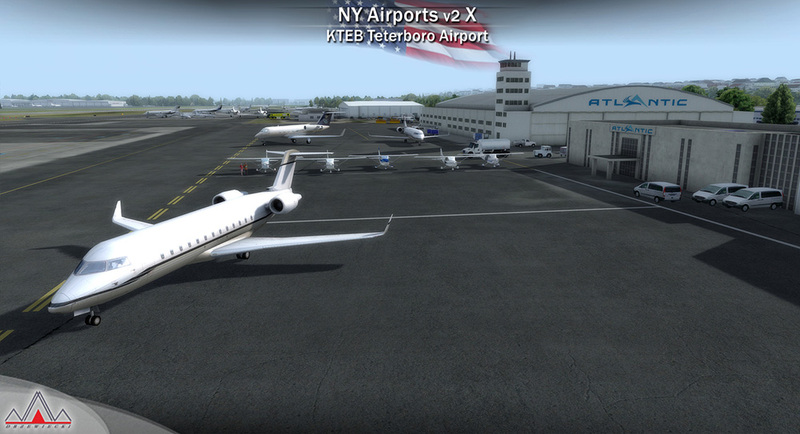 Teterboro is home to many private aviation charter companies that fly nationally and globally. 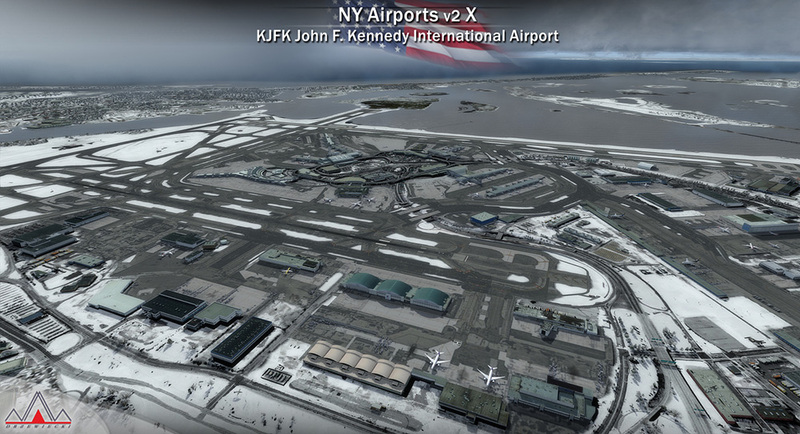 In April 2009 the FAA reported that the airport had the third highest rate of wildlife strikes of any airport in the United States based on takeoffs and landings (43 per 100,000). 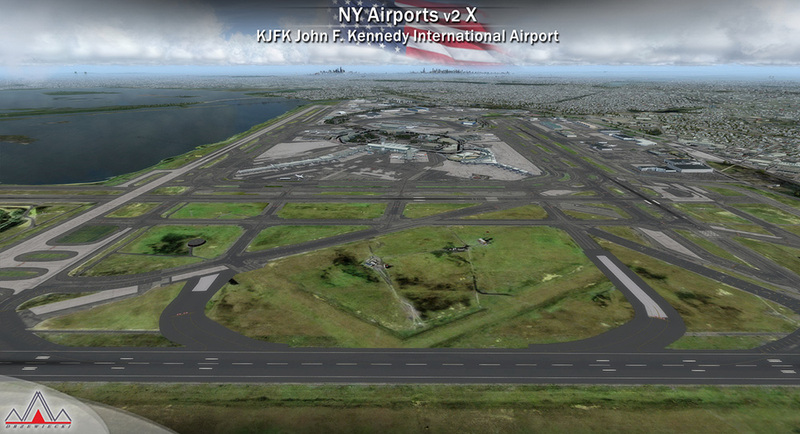 Related links to "New York Airports V2 X (KJFK, KLGA, KTEB)"
*Price incl. 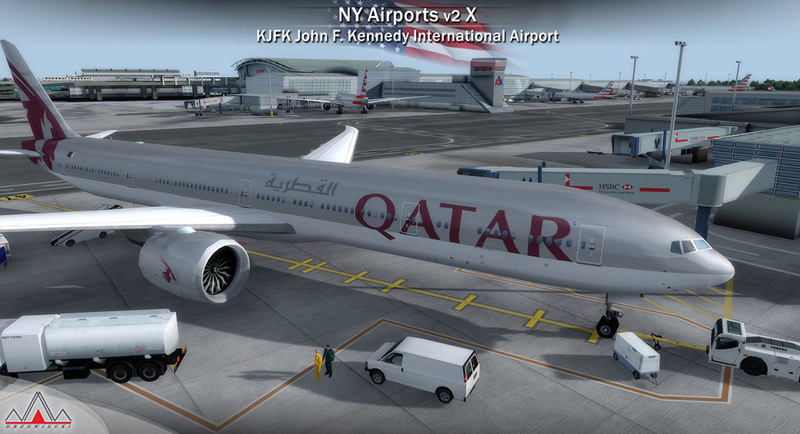 VAT may deviate depending on your local VAT within the EU.